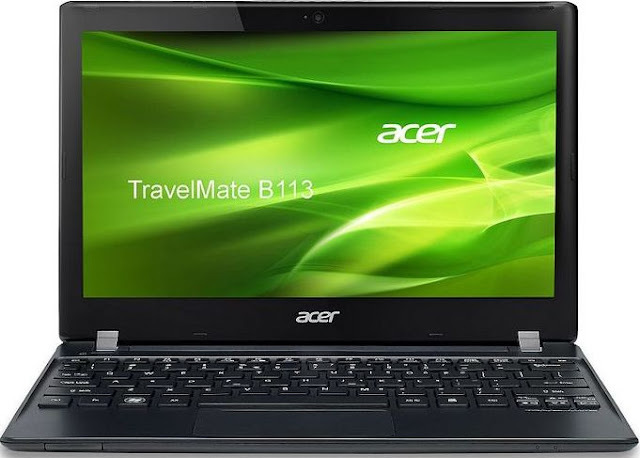 The Acer TravelMate B113 features 11.6-inch display with matte coating that reduces glare. It is powered by 1.4 GHz Intel Celeron processor / 1.5 GHz Intel Core i3-2377M Sandy Bridge processor with graphics. It comes with 4GB DDR3 SDRAM and 500 GB HDD. Other features includes HDMI, Wi-Fi 802.11 b/g/n, Gigabit Ethernet, Bluetooth® 4.0, USB 3.0 and a 4400 mAh battery delivers 7 hours of use. It weighs 1.88 Kg(4 pounds). The Celeron model costs €450 EUR and the Intel Core i3-2377M model costs €560 EUR. Tags:Acer TravelMate B113, Acer TravelMate B113 features, Acer TravelMate B113 specifications, Acer TravelMate B113 review, Acer TravelMate B113 details, Acer TravelMate B113 availability, Acer TravelMate B113 specs, Acer TravelMate B113 images, Acer TravelMate B113 pics, Acer TravelMate B113 pictures, Acer TravelMate B113 price.